The Late Canon James Ndyabahika with his wife Rev. Canon Grace Ndyabahika and children Apolo Ndyabahika, Ruth Ndyabahika and Rachel Ndyabahika Matembe during happier times. The Late Canon James Ndyabahika’s final journey home — There will be a Memorial service Sunday May 31 at All Saints Cathedral Kampala. The family will then travel to Kabale the following day and have a service at Rugarama on Tuesday. He will then be laid to rest at Kikungiri, Kabale. Words can not express the grief of our loss. We have lost a friend, teacher, pastor, husband and father. A donation page has been created for us to share words of encouragement and show our support to the Ndyabahika family in this time of loss. A great leader of the Church of Uganda has gone to be with the Lord. His final days were in Mutare, Zimbabwe. 5. Coordinator for East Africa – African Evangelistic Enterprise (AEE). 6. Executive Secretary – Uganda Joint Christian Council (UJCC). He started Civic Education and monitoring for Presidential Elections. His wife is Rev. Canon Grace Ndyabahika. His children are Apolo Ndyabahika, Ruth Ndyabahika and Rachel Ndyabahika Matembe. I first met the Rev. at his office, at old Kampala when he was a coordinator AEE. He put in effort to get me a place for my tertiary education. May the good Lord rest his soul in peace. 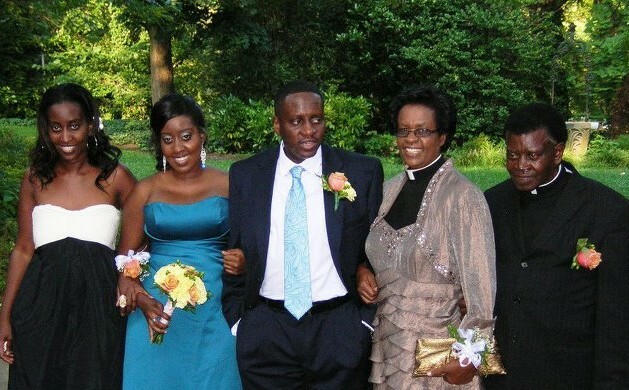 Our prayers go to the family and the Ugandan community in general for the loss of such a great Man. May his soul rest in peace. Apolo stay strong.God bless you. I am crying now with resurrection faith with John right here to tell you how much we care and we are with you in thought through the Holy Spirit. God bless James in heaven and bless you all through this tearful time. We can laugh and cry and sing with tears because James is safe in heaven with the Light of Christ and we say Thank You God!